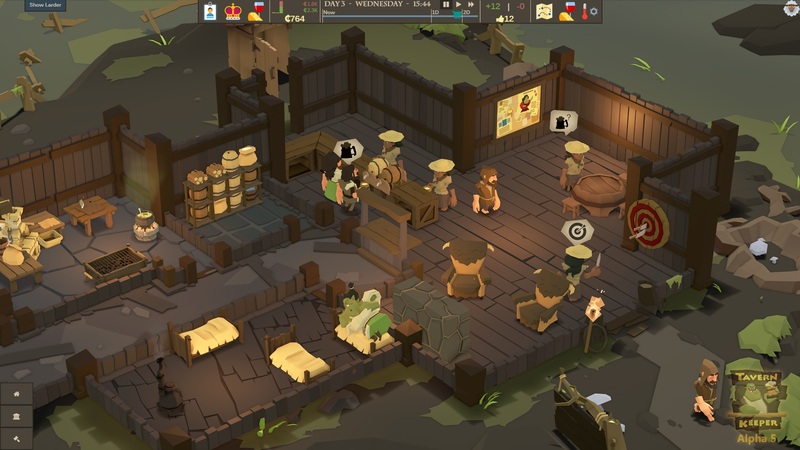 Try your luck surviving the harsh realities of piracy in this new ultra-hard game mode in which you have to invent DRM and sell company shares to survive. You can find the pirate mode under the advanced options when starting a new game. 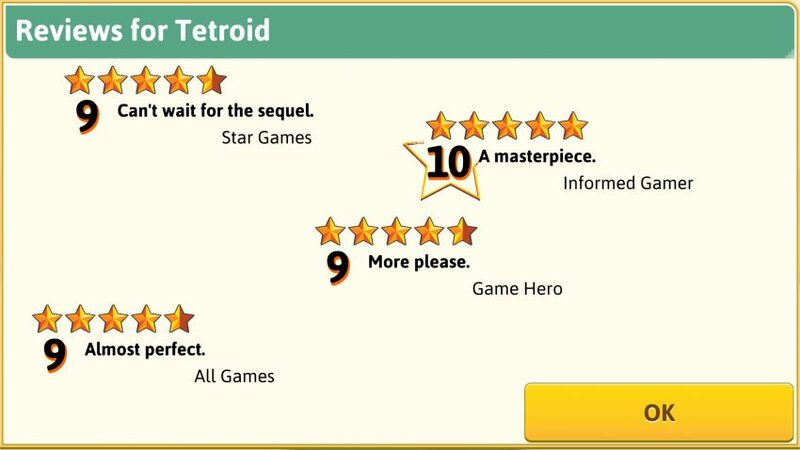 Inspired by the mobile UI, we’ve revamped the review screen with now 100% more star-power. Disclaimer: Sudden rushes of anger from receiving a bad score from All Games is unchanged but the feeling of elation from receiving amazing scores is increased by several measurable units of excitement! Messages and events can now appear in a new sidebar instead of opening automatically and interrupting gameplay. Messages can stack. You can click on them to read the message (or right-click to dismiss them). They will gently pulse and disappear if you ignore them too long. 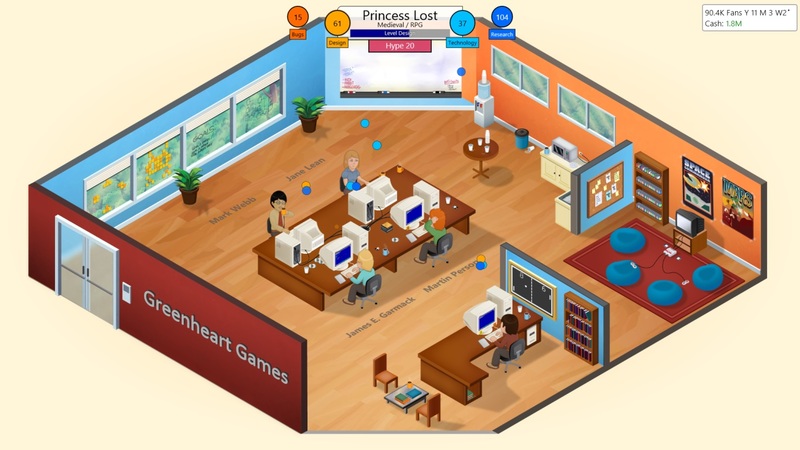 We felt that the un-modded game lacked a few core topics that prevented players from re-making their favorite game in Game Dev Tycoon. 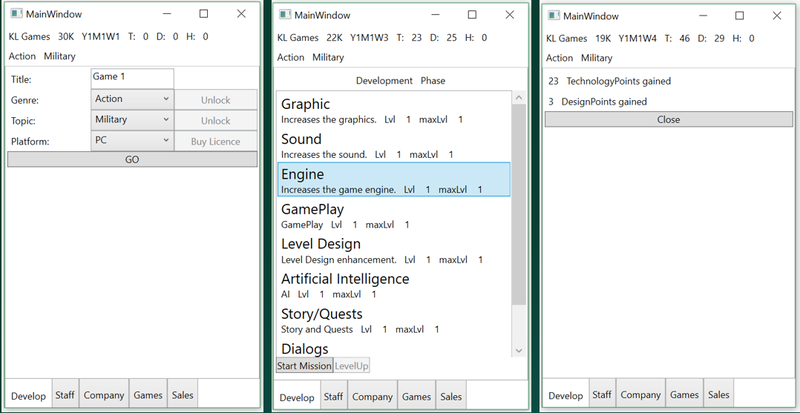 This release adds 15 new topics to the game to enable more game combinations and, while we were at it, we completely redesigned the topic picker with shiny new icons. 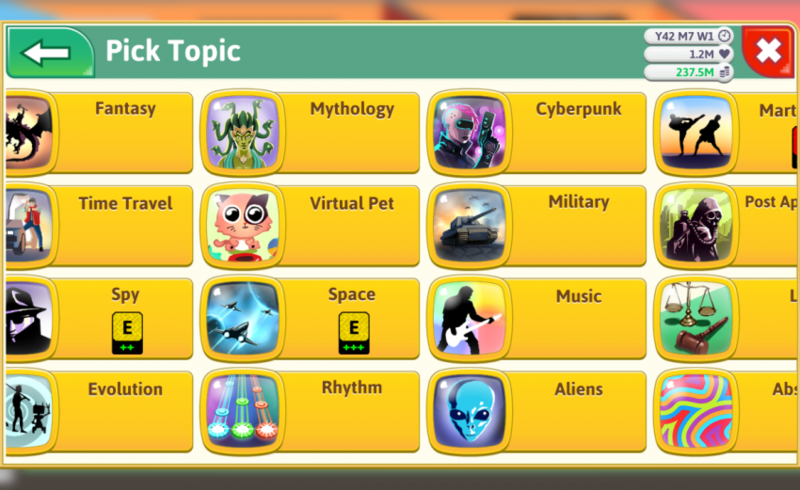 Adding topic icons made the topic list a bit bigger, so we took this as an opportunity to add kinetic scrolling to lots of scrollable elements in the game. If you want to quickly browse the topic list now just click, drag, and flick it! We were made aware of a pretty sad bug where the ‘women in tech’ event in the game did not alter the gender balance of job applicants. 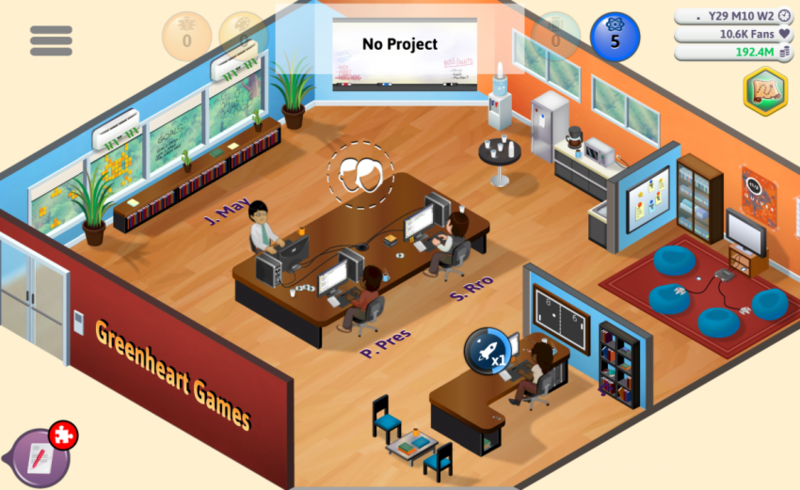 We have now fixed this and also added a lot more famous women game developers to the game. In related news, the default character when starting a new game is now randomized and there is a random character button for you to press too. Turns out that Ninvento can’t stop innovating! 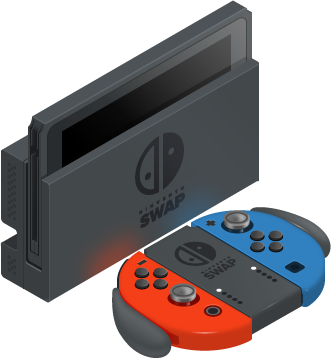 We have added the Ninvento Swap to the platform list, including a corresponding news story telling you all about bitter cartridges. 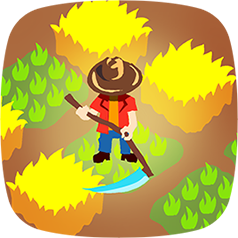 We have also added a new late-game PC image to the game. – Mods can now add an (optional) icon to their topics by specifying an iconUrl (documentation). – Mods can now add their own settings UI to the game’s settings-panel via a call to `GDT.addSettingsTab(title, content);` (documentation). – Mods can spawn messages in the new sidebar. (documentation). 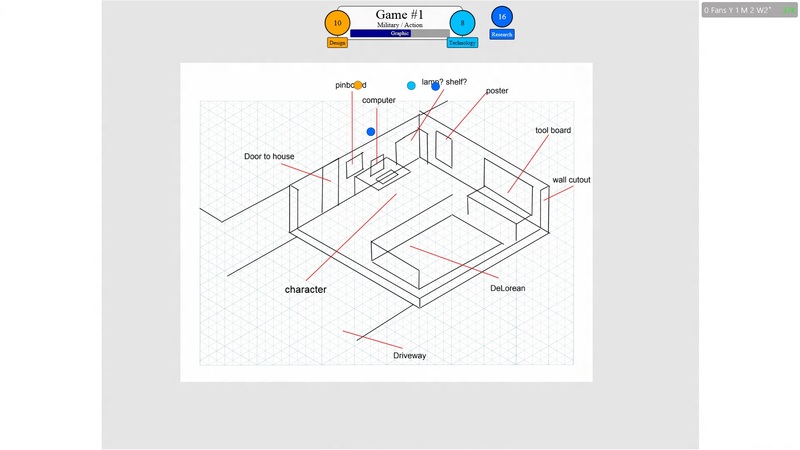 – The game now ships the Greensock GSAP animation library which modders can use to its full potential (documentation). Hope you all enjoy this free update. We will now head back into fantasy land and focus on our second game. We hope we can talk more about it soon. 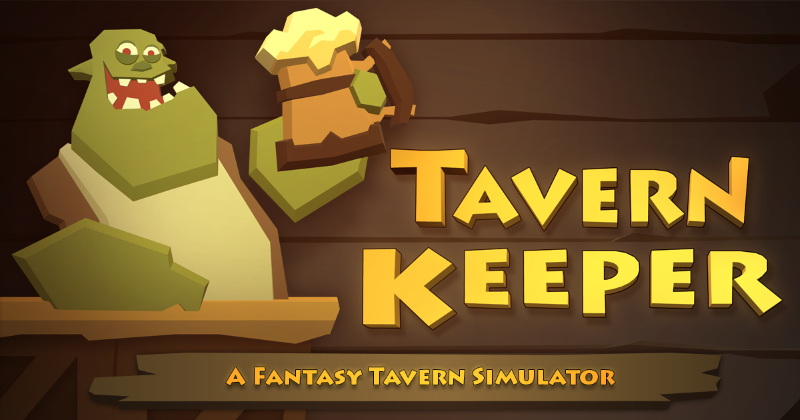 If you haven’t done so yet, *please* sign up to our newsletter on tavernkeeper.com. – If you are on Steam or itch.io, the update should be delivered to you automatically. 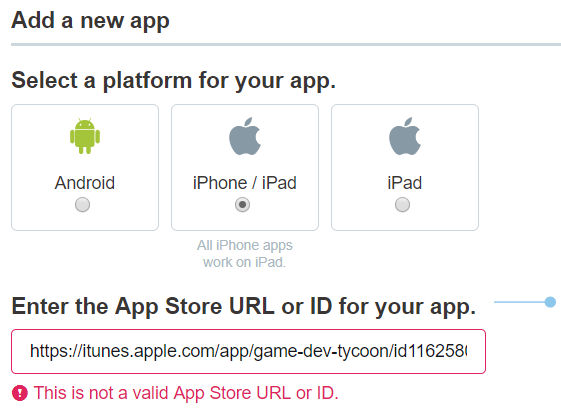 – If you bought the game from us directly, then you can re-use your original download link to download the game. In case you can’t find it anymore or the link doesn’t work please write a quick email to orders@fastspring.com (our payment providers) and they will resend you your link. 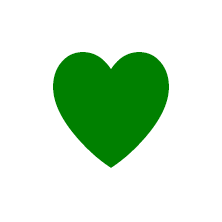 If you have any troubles at all, get in touch with us via support@greenheartgames.com and we’ll help. 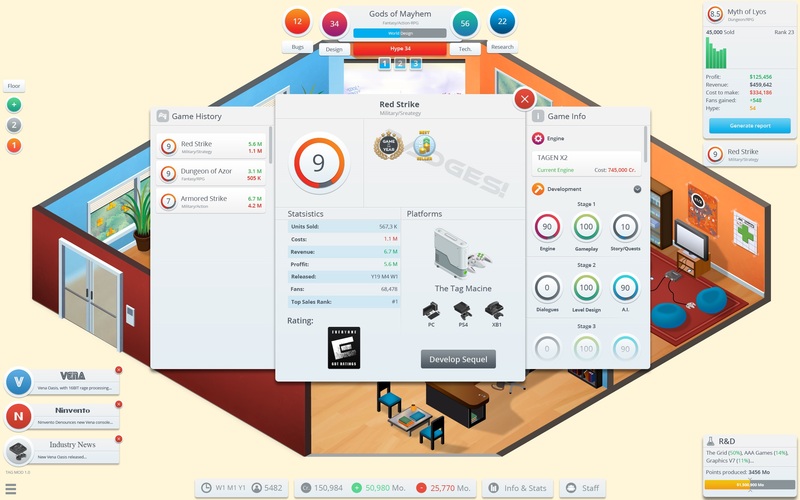 – If you bought the game on Humble or MacGameStore please download the new version from your account page. – If you are a Linux user please note that we are still working on the Linux downloadable distributables. They should be ready in a day or so. 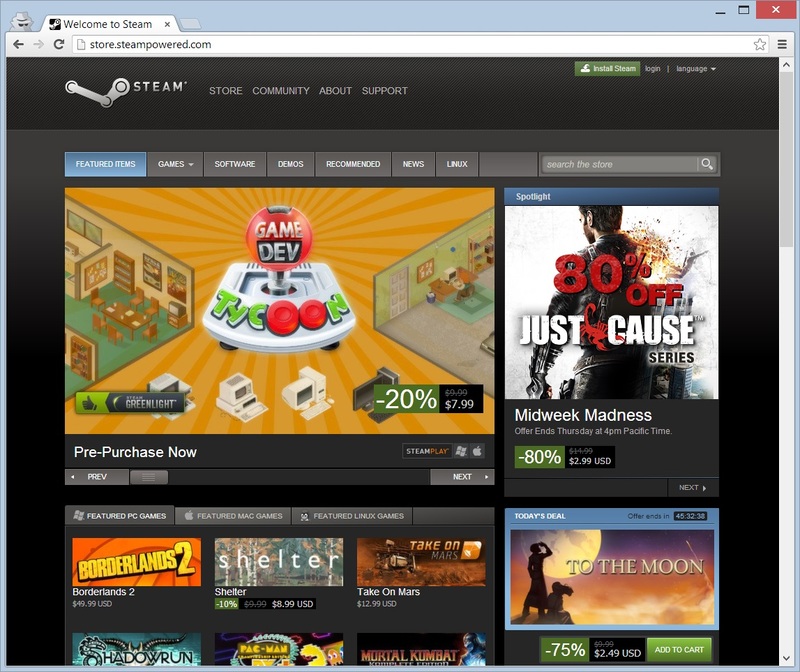 If you are on Steam, it’s all good as the new version is already available for Linux there. 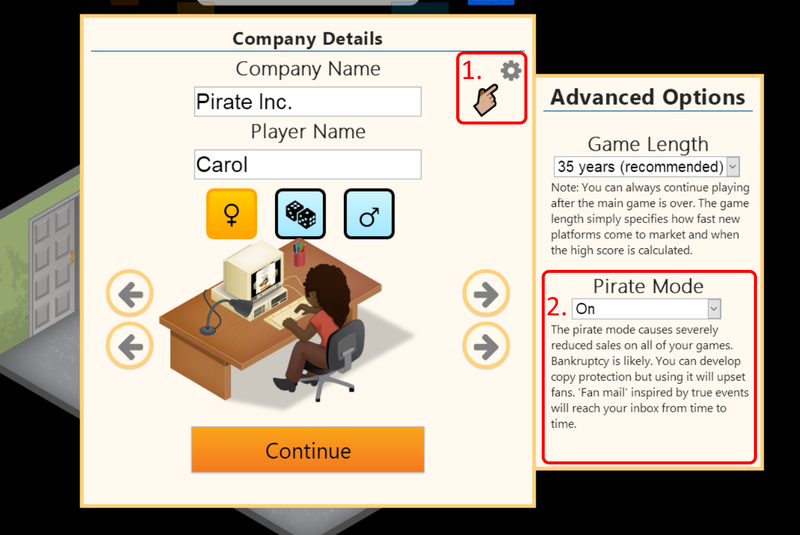 –New: super-difficult ‘pirate’ game mode including new piracy, DRM and company ownership game mechanics. –New: Added Ninvento Swap console and 100% more mentioning of denatonium benzoate in the game. 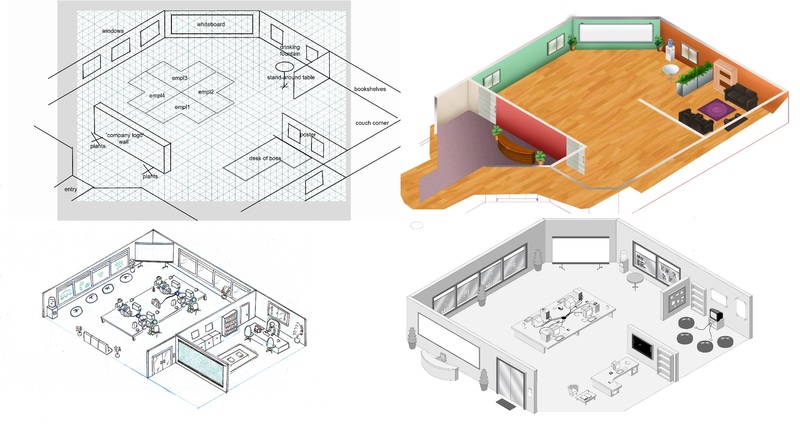 –New: Added new modern PC image. –New: UI panels have now a kinetic drag behaviour. 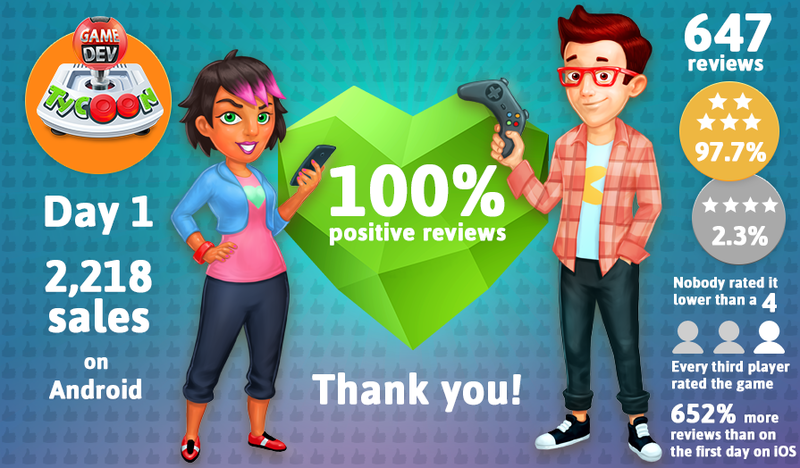 –New: Updated review screen with new star animations. 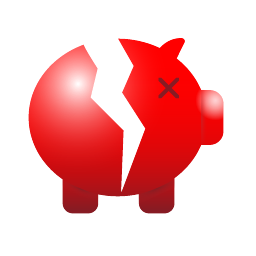 –New: Added 15 new topics. 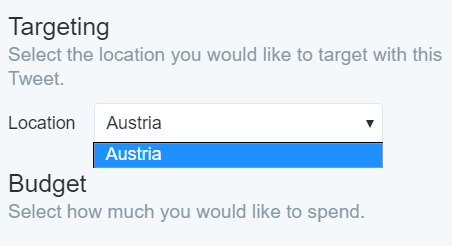 –New: Nicer topic and genre picker with all new topic and genre icons. –New: Added icons to context menu. –New: New message sidebar where messages can appear without interrupting gameplay. –New: New ‘Messages’ settings allow you to set which in-game messages should auto-popup and which should open in the new sidebar. 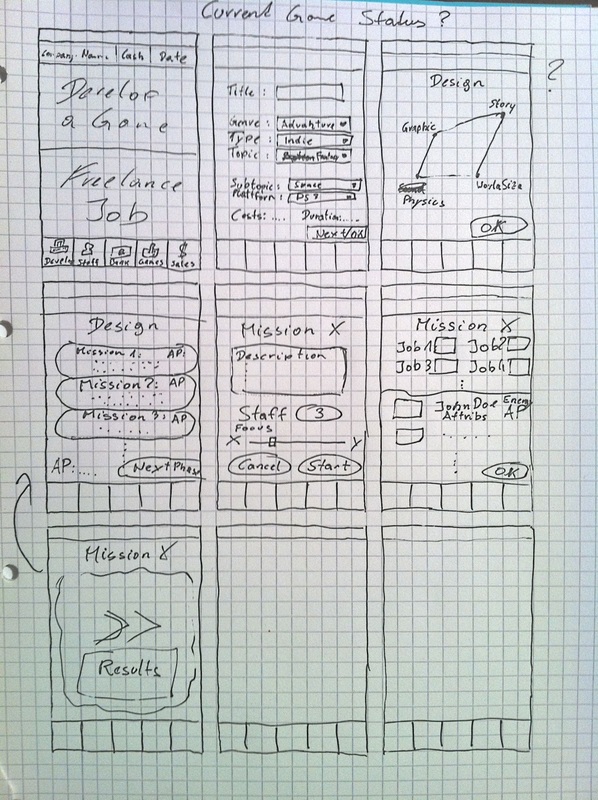 –New: Character can now be randomized when starting a company. 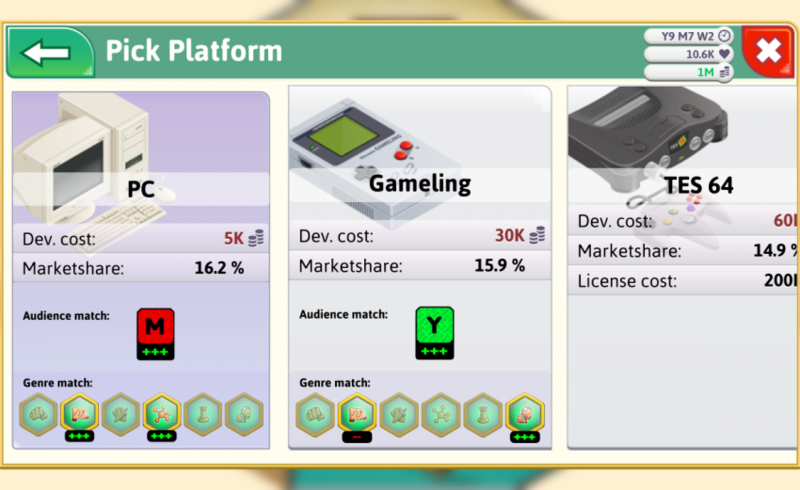 –New: Settings, achievements and highscore panels are now draggable. –New (modding): Custom topics can now specify a iconUrl to show a custom icon (otherwise generic fallback is used). –Improved: Added more famous women to the game. -Added: Translations of new content. 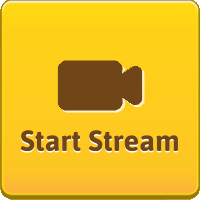 -Improved: Removed UI selection outline from slider handle. -Improved: Added visual clue when there are not enough research points to start a research project. -Improved: Small story window is now slightly wider. -Improved: Sponsoring the women in tech event now causes more women to apply for jobs. 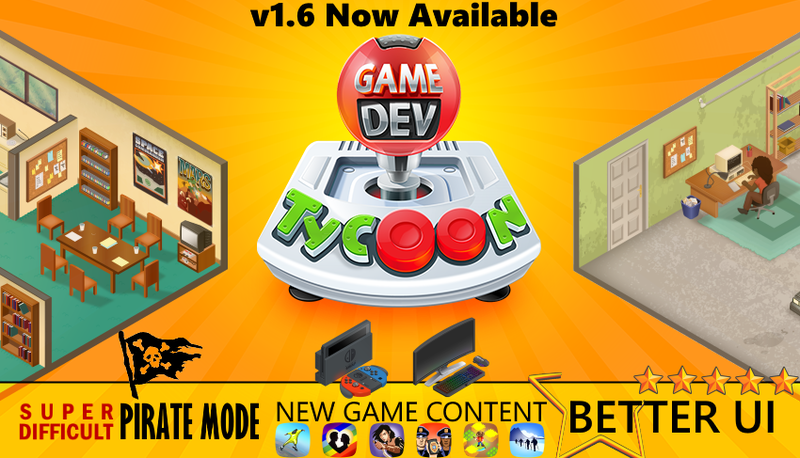 -Improved: Combobox in new game window is now larger. -Improved: The default character when starting a new company is now randomized. -Changed: Progression hint messages are now categorized as company milestones and will auto-open by default. -Fixed: Randomize character button in company creation screen has missing icon. -Fixed: Animation sounds would sometimes continue playing when starting a new game. -Fixed: Typewriting animation would sometimes speed up on the intro screen when starting a new game. -Fixed: Several buttons do not play a sound when clicked. -Fixed: It was possible to have a game that never went off the market if a company had lost all fans and then released another bad game. -Fixed: The splashscreen is no longer draggable. -Fixed: When stories picked team members, often the first staff got picked. 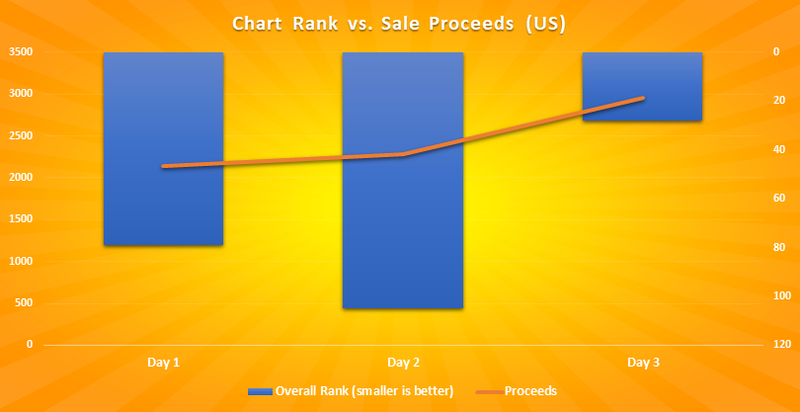 Android Release - Day 1 Report: What a reaction! 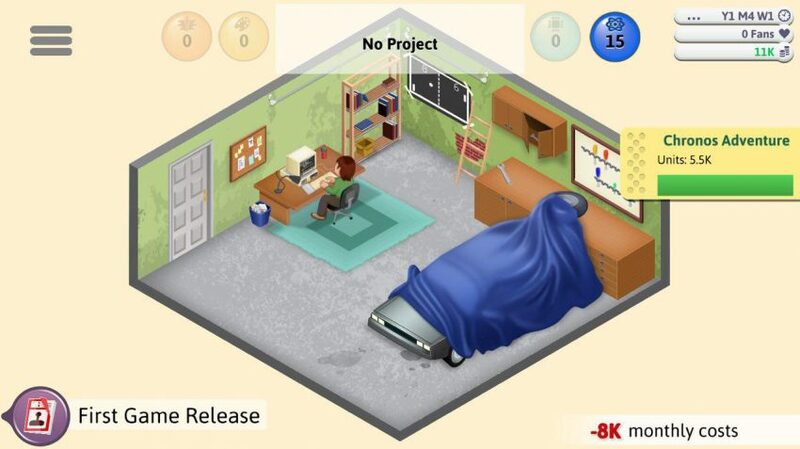 Yesterday, Game Dev Tycoon released on Google Play. If you haven’t had a chance to check it out, just click on the image below. Since our iOS release reports received a lot of interest (you can read part one, part two, part three and part four), we decided to do the same with our Android release. Here we go with our first report. Given our experience with the App Store – where the link to our game didn’t work consistently and were we did not show up in any lists for nearly the whole day – we decided to do a soft-launch on Android instead. Our scheduled release-time was 2PM UTC but we hit the release button a good four hours earlier. 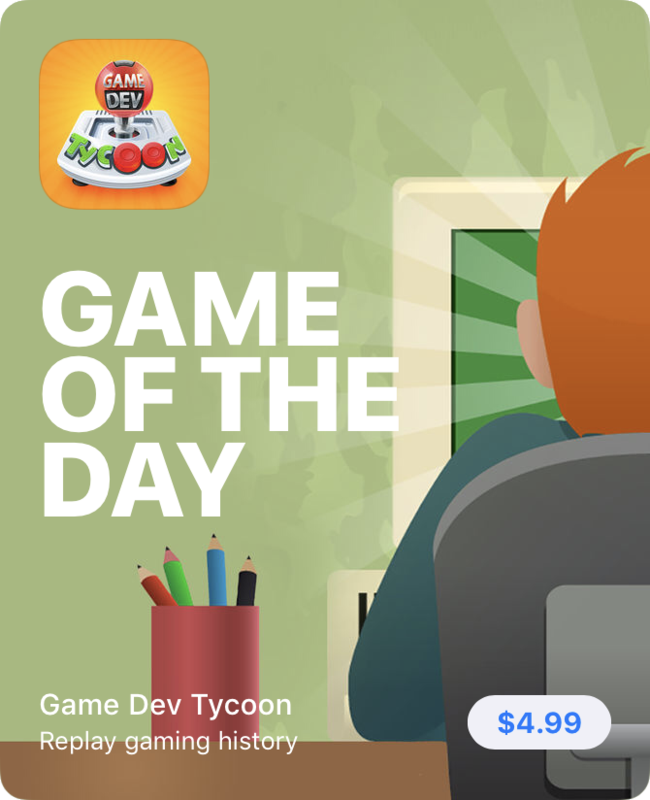 The release went live practically immediately but similar to the App Store, the game didn’t show up in listings on the store page for the entire day. Thankfully the link to the store page worked without a hitch though. 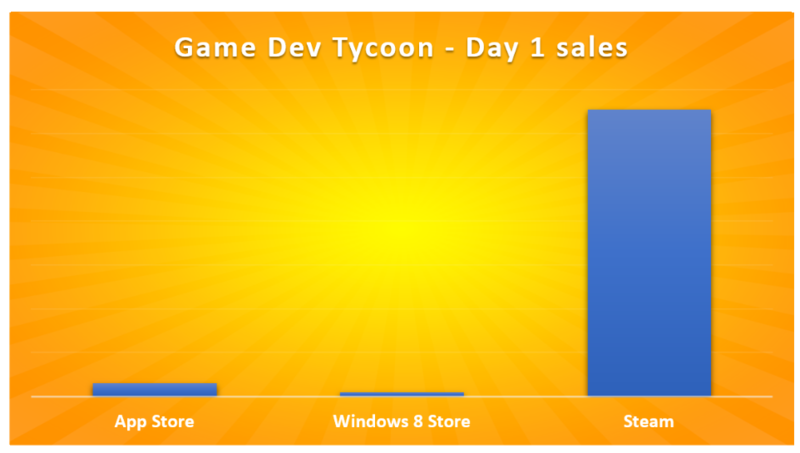 On the first day on the store, we sold 2,218 units total. 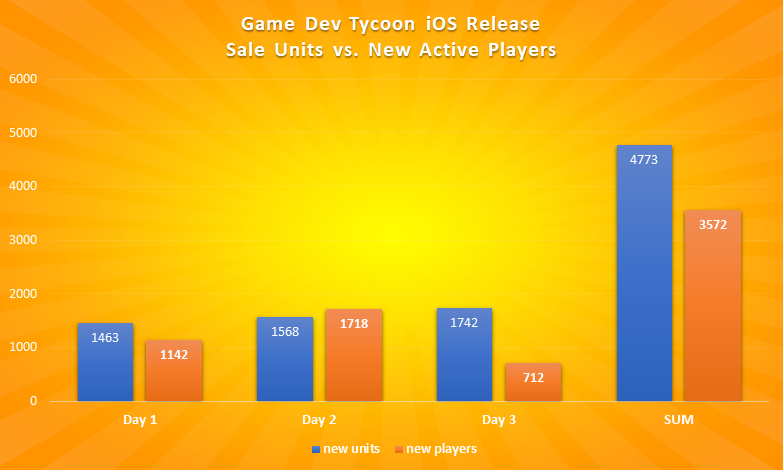 For comparison, our iOS release on the first day saw 1,463 sales. Android outperformed iOS by 52%. 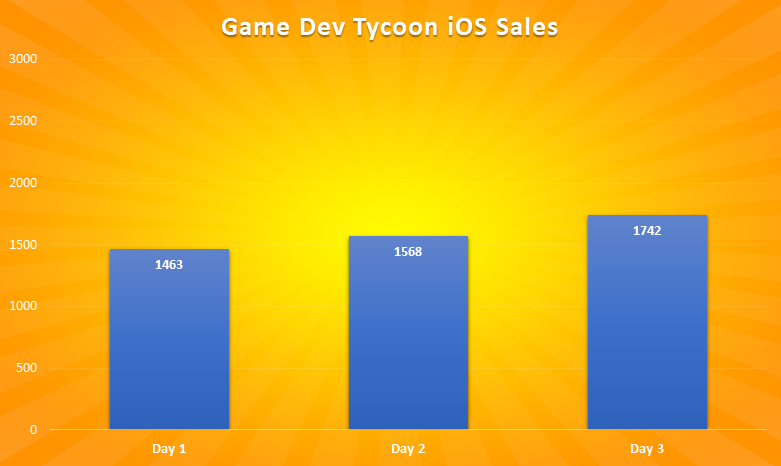 This is not a surprising result considering that the majority of these purchases are likely from our core fans and taking into account that the link to the iOS version did not work for the majority of the first day (we reported), while Android had no such issues. We also knew that there was substantial interest. When we asked for Android testers, we received 2,500 applications within a mere three hours (vs. just 700 for iOS over two weeks). 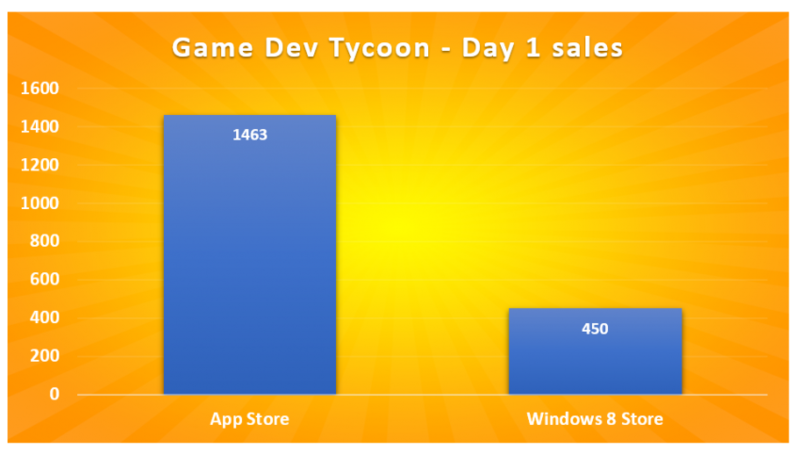 On day 1, Game Dev Tycoon received 647 reviews. 97.7% of players rated the game 5 stars. From all the reviews only 15 players rated the game 4 stars and not a single one rated it lower than 4 stars. 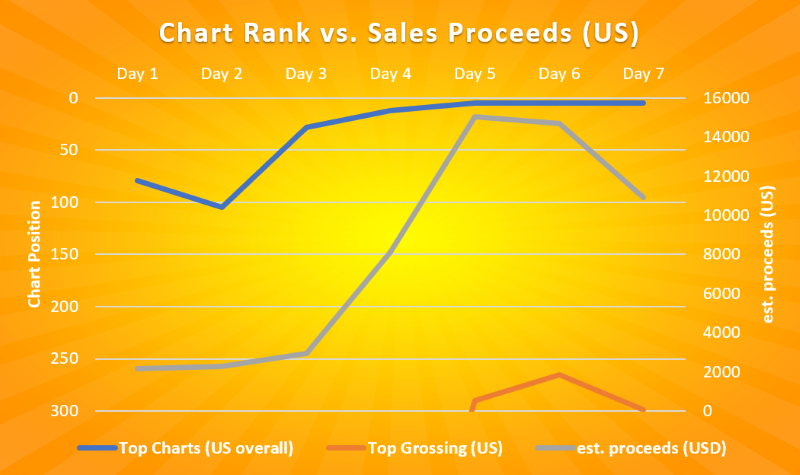 For comparison, the iOS release received 86 ratings on the first day so Android saw 652% more ratings than iOS. 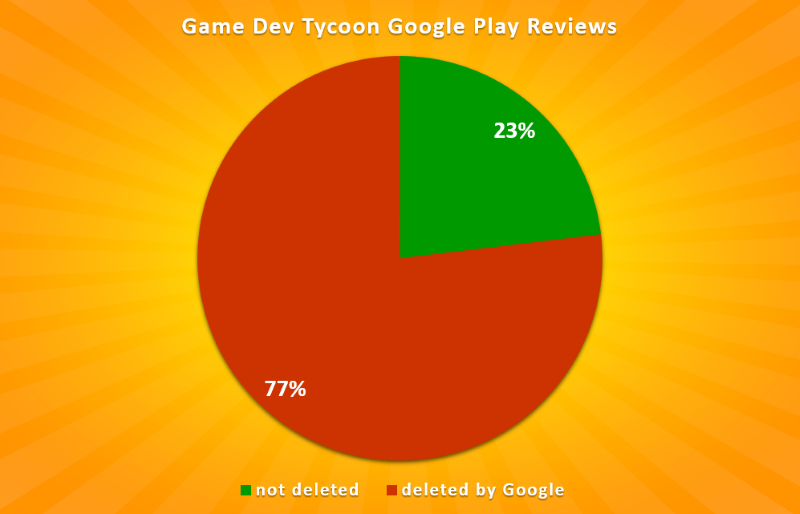 In fact, 28% of all genuine Android players have rated the game 5 stars and nearly half of those wrote a custom review! I am truly overwhelmed and humbled by this. Thank you all so much for the amazing reaction! I’d like to give credit to Rarebyte who are in charge of the iOS and Android port and evidently did an amazing job preparing the release. I’d also like to thank our many Beta testers who helped iron out bugs and issues this past month. It has clearly paid off. Release day is always stressful. It feels like there is always something that requires attention and this time was no different. 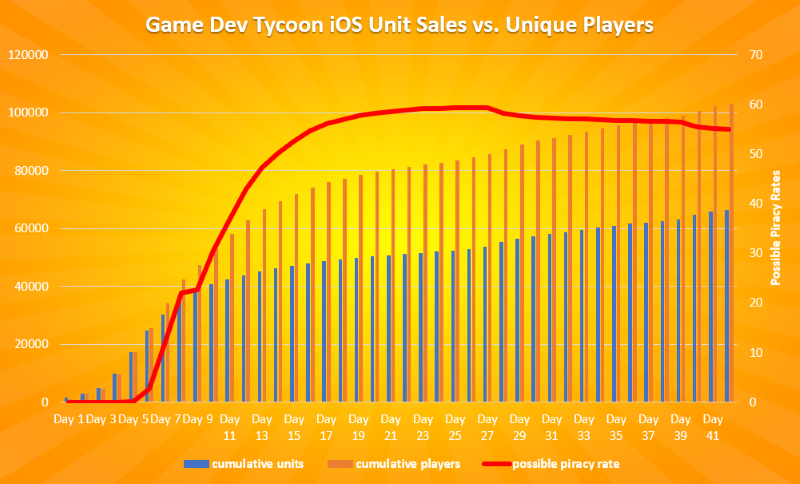 In our first iOS report I talked about how difficult it is to reach our audience. 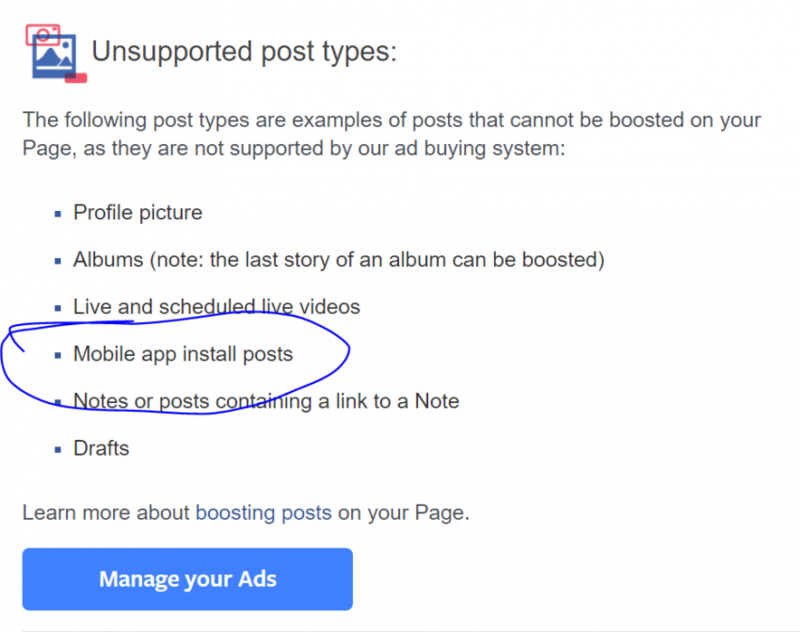 Both Facebook and Twitter changed their timeline algorithms in the past years to essentially make it impossible to reach your followers without paying lots of money. 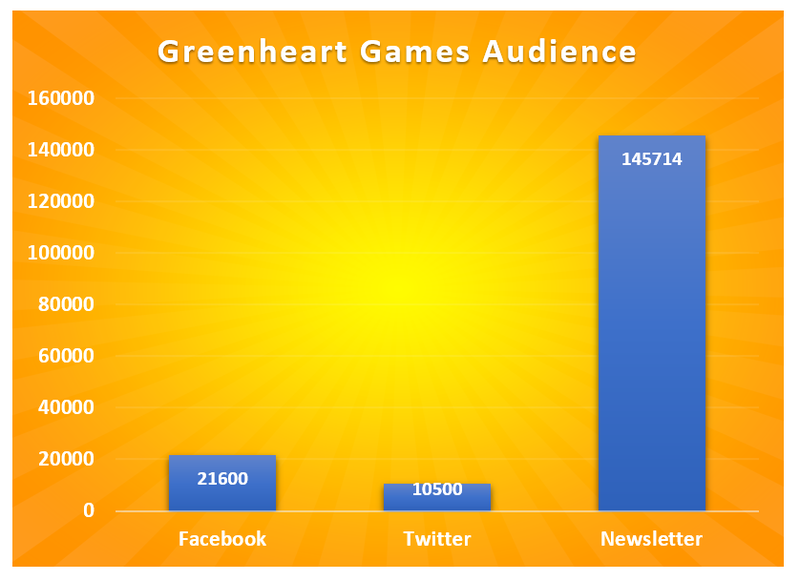 This leaves our newsletter as our most valuable asset but sadly our open rates are much lower than they used to be. This is likely due to changes in how email providers categorize emails (Google’s introduction of the ‘Promotion’ tab had a hugely negative effect) but also because of mistakes on our end: we didn’t write subject lines that were catchy enough and ironically our resolution not to SPAM people and only sending emails when we have something to say (sometimes going nearly two years between emails) meant that email providers would look at us as a ‘new sender’ and were more likely to classify us as SPAM. To counteract this and re-engage with our followers, I decided to experiment a little with our newsletters and as a first step I wanted to bring a little color into our subject lines by using emojis! Nothing too fancy or crazy. Just adding some friendly color. I actually wanted to do this last time for the iOS release too but our newsletter software didn’t seem to support emojis and I had no time to check on release day. This time, we were already prepared because thankfully an updated version of the newsletter software does support emojis. We use sendy.co to send out newsletters because everything else is outrageously expensive with a list our size (Mailchimp and CampaignMonitor would cost us nearly 1,500 $ every time we send where Sendy costs a fraction at not even 15$). Sendy all updated and ready, I drafted the email and sent it as a test to several people for proof-reading and checking using the built-in ‘Test-send this newsletter’ feature. It came out really well and after double and triple checking everything again I sent the newsletter to our nearly 144K subscribers.
? 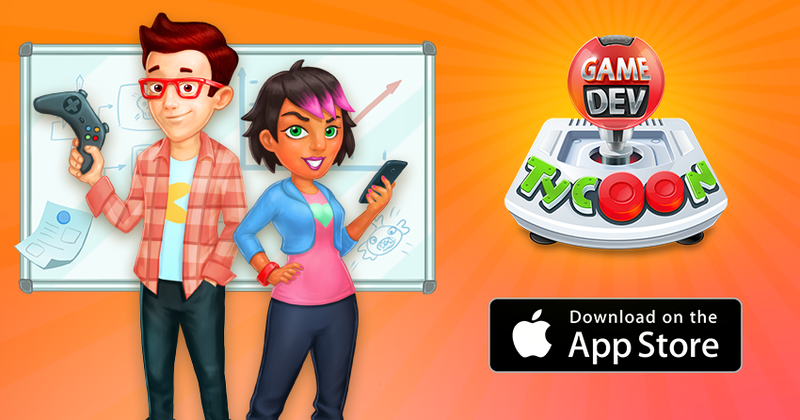 Game Dev Tycoon is available on Google Play right NOW! ? Well, 💩. Panic mode: engaged 🚨 (especially since there is no stop/pause sending button). Thankfully, our ever watchful system administrator was immediately available to nuke the process which sent the newsletter but some damage was already done: We just sent 6K people a broken newsletter. Ugh. Our investigations into the configuration and database revealed nothing. It seemed that we configured it all correctly and the test emails definitely work. Defeated and out-of-time, I took my modern ambitions of emojis in newsletters and put them into the 🗑. Maybe next time. I guess I shouldn’t feel too bad about not getting to inject some emojis. 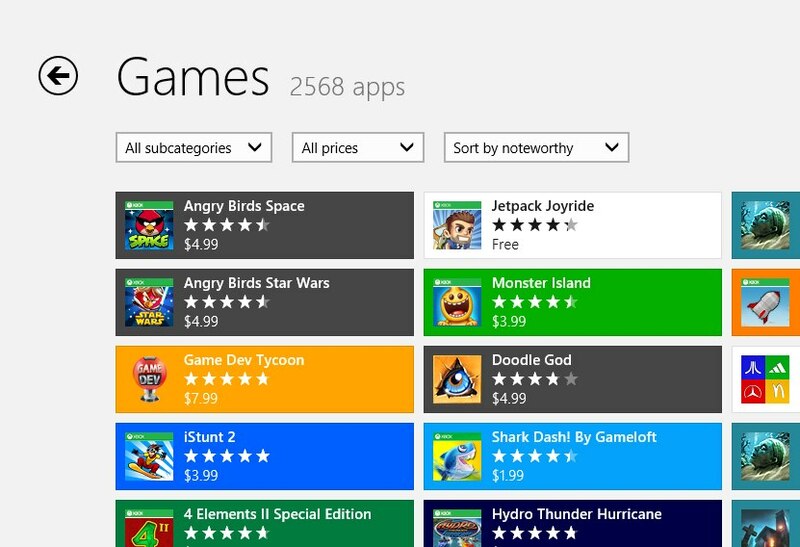 At least our Google Play listing has the most number of emojis I have ever seen on a games description page. 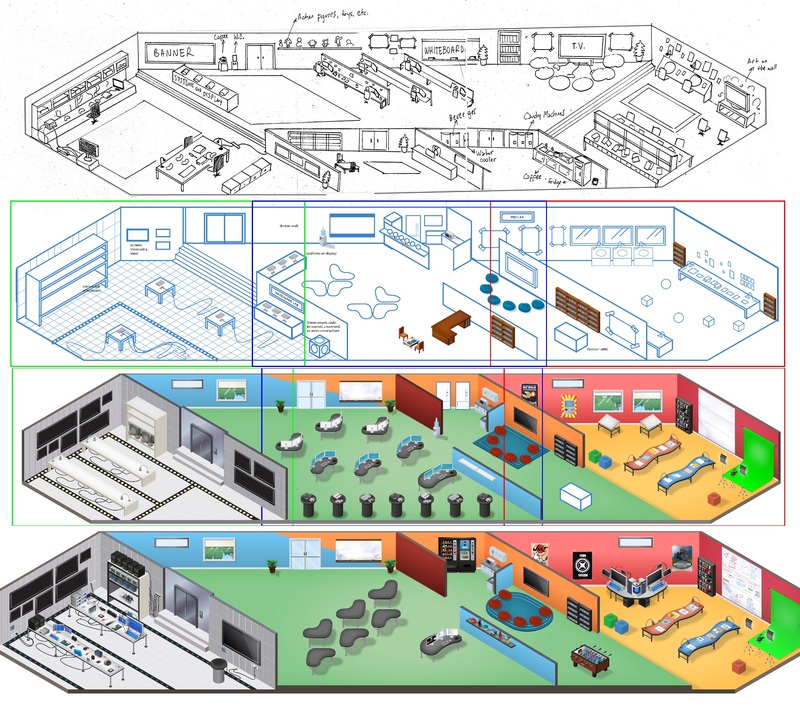 For no good reason, here are all of them in order of appearance: 🎮 💚 🕹 ✍ 💡 👁 ⚙ 🏢 👩🏽‍💻 🔬 📈 💚 🥇 ☠ 📰 👩‍🍳 📱 ⭐ – Makes sense, right? 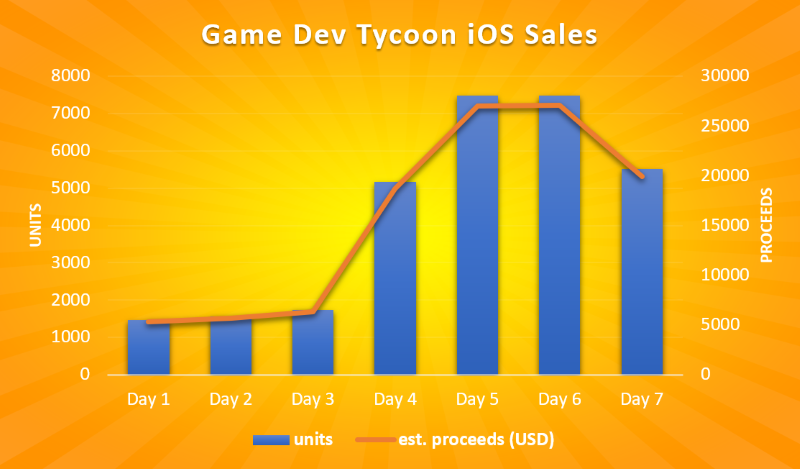 On iOS, we did not see any piracy for the first 5 days on the store. Android is a markedly different story. 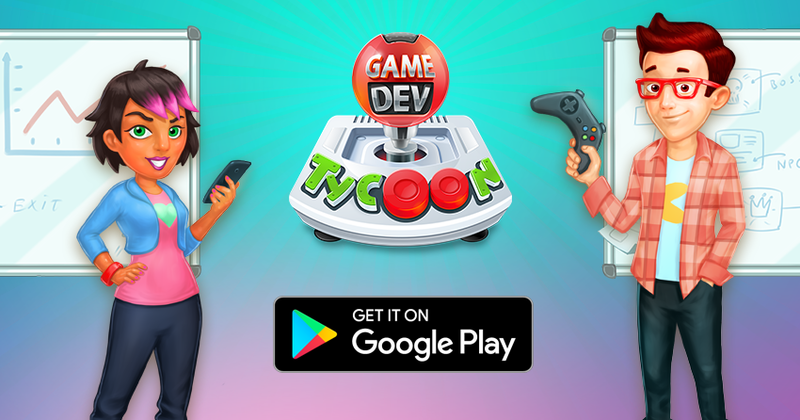 Within hours of us publishing the game we saw websites copy the Google Play store description and provide their own download pages including download links to a Game Dev Tycoon APK (the downloadable package that contains our game). Most of these sites are infested with ads and probably a good chunk give you malware but there are definitely genuine pirated versions out there. How many people play a pirated version is hard to say. 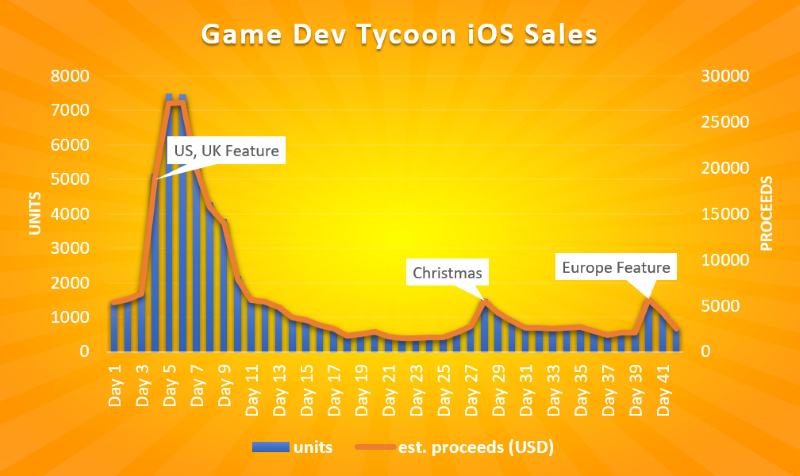 Our best estimate, based on tracking data and some assumptions, is that on day one around 40% played an illegal copy which seems close to the 50% recently reported by the developers of Hidden Folks. 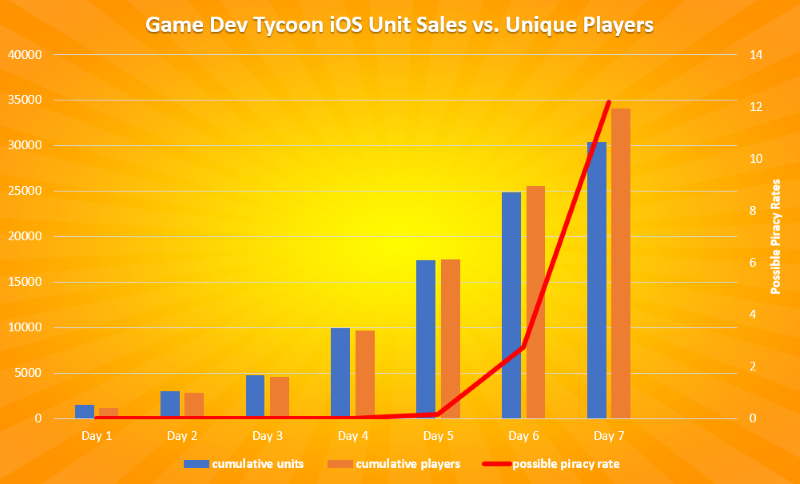 What we hear from other developers, we need to expect that this will go up a fair bit and will most likely surpass the 55% we saw on iOS. We will talk more about this in future reports when we have more data. Interestingly, even though the game showed as Nr. 2 Top New game and Nr. 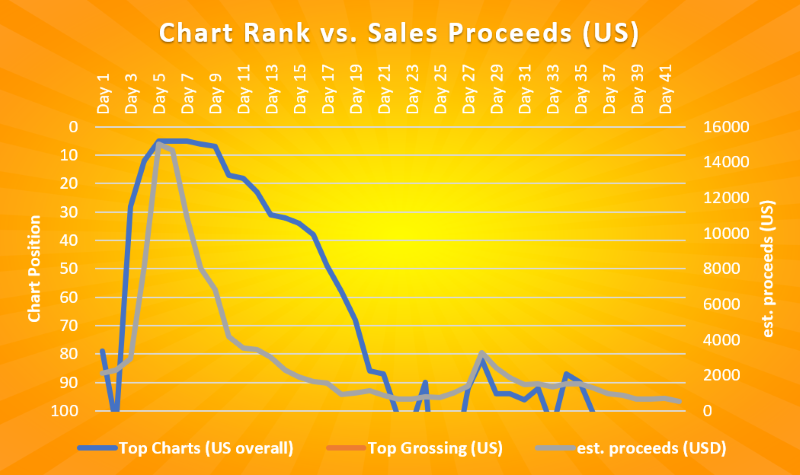 14 Top Selling games overall, it was not part of the Top 540 Top Grossing lists at all. Perhaps the store did not update properly or perhaps the cliff between freemium and premium games on Android is even bigger than on iOS. 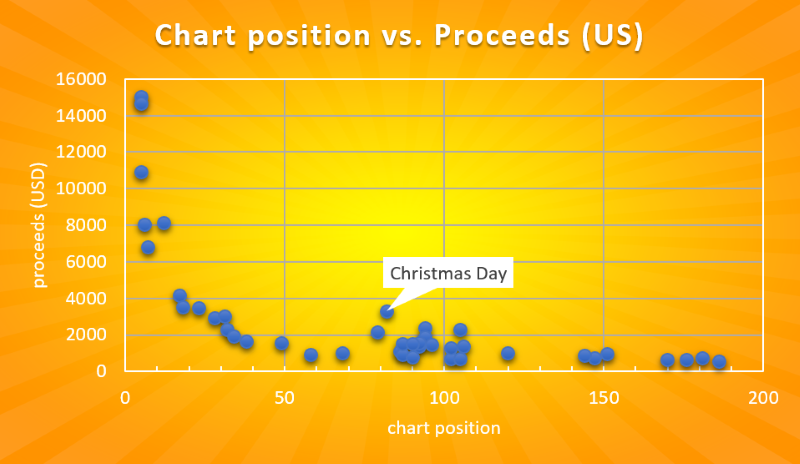 We should be able to get a better idea in a few days when there is more data but without the amazing reaction from our fans we couldn’t have dreamt of hitting the charts within 24 hours. 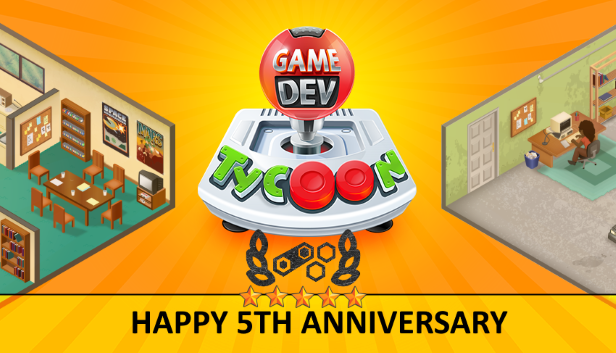 Game Dev Tycoon is now available on Google Play. If you have been waiting for the Android version you can finally get your hands on it here.